This building remains one of the best values in Dallas and offers a great Preston Hollow location. Most units have looooooong balconies and wall-to-wall and floor-to-ceiling windows. Tennis court, barber and beauty shop, fire pit, dog park, conference room, community room, expanded cable TV in HOAs No pets for tenants. 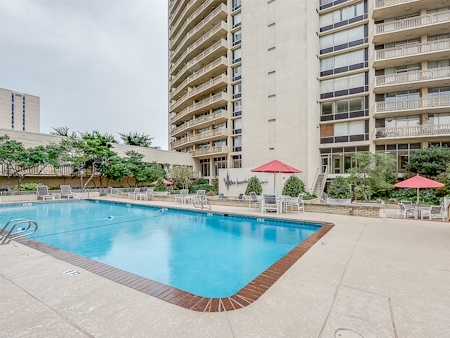 ° Great location in the Heart of North Dallas. 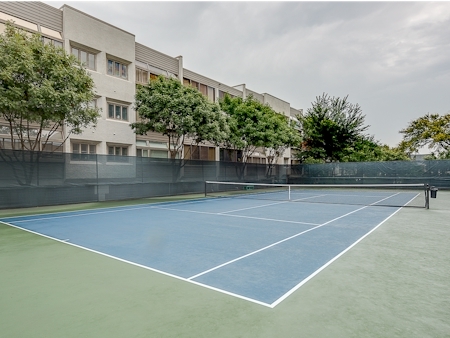 24 Hr limited access security,assigned parking,tennis court,pool,exercise & community rms. Unit on second floor overlooking the patio and pool area. Separate elevator that conveniently goes to parking garage . 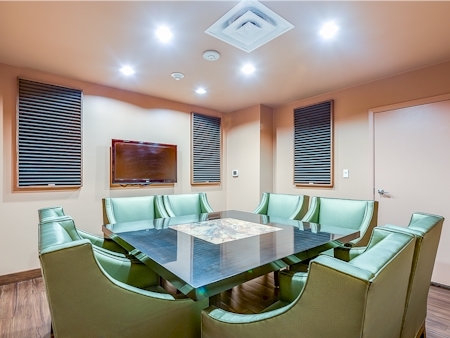 ° Additional Info: HOA dues are $563 monthly, 1 covered parking space(s), Dallas ISD. ° Listing Agent: Martha Tiner, Compass RE Texas, LLC. ° FABULOUS PRICE IMPROVEMENT!! Hi-Rise living at it's best with this conveniently located condo. 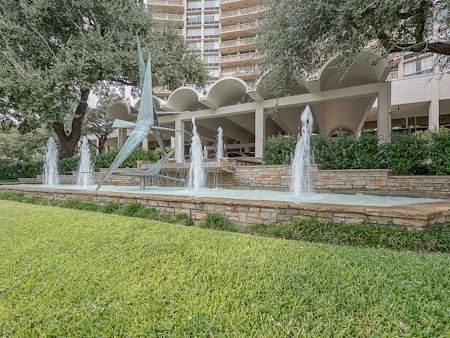 Beautiful 10th floor unit in Preston Tower with outstanding views of Preston Hollow! This 2 bedroom 2 bath condo has a gorgeous patio through the wall of windows in the living area, updated kitchen with stainless steel appliances and a closet area with washer dryer connections. 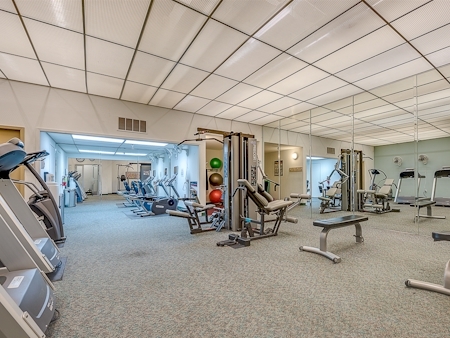 Preston Tower amenities include fitness center, club room with kitchen & library, conference room, tennis, garden pool area with fire pit, dog park and assigned basement parking. Monthly HOA dues include all utilities with AT&T cable and wifi! Come see this fabulous condo! ° Additional Info: HOA dues are $846 monthly, 1 covered parking space(s), Dallas ISD. ° Listing Agent: Nancy Lukken, Allie Beth Allman & Assoc. ° Every square inch of this Preston Tower condo redesigned to make maximum use of space with style. 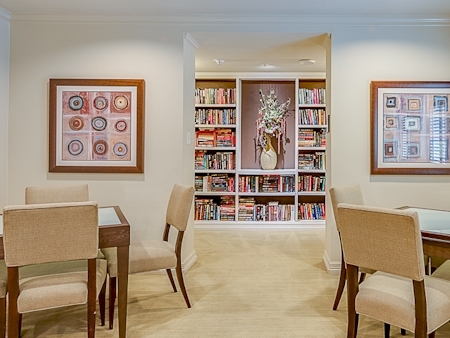 Pocket doors & hidden built-ins abound. Open kitchen with island seating for 8-12. Marble tops. Stainless steel Bosch appliances & wine fridge negotiable. Undercounter All-in-1 W-D connection. Walk-in showers & linen storage in marble clad bathrooms. His & Hers walk-in closets with basic Elfa system. Wood floors throughout. 32 ft. balcony facing the pool. HOA fee includes all utilities,cable,Wi-Fi,internet,HVAC & amenities including pool,firepit,fitness center,tennis court,dog park,party room,library & more. 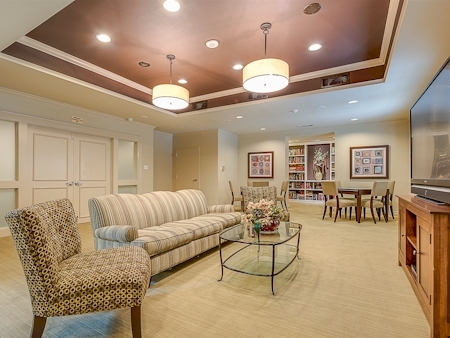 Prime Preston Hollow location near Northpark & the grocery,shops & restaurants of Preston Center. ° Quiet corner unit facing north. Bright condo with a wall of glass sliding doors leading to the large balcony. Lots of storage throughout. 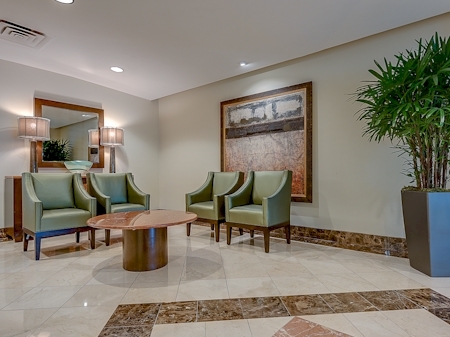 Enjoy the amenities of high-rise living with the convenience of nearby shopping. Walking distance to shops and restaurants at Preston Center and just a short drive to Northpark Mall and grocery stores. HOA fee includes all utilities, high speed internet, security, and access to all amenities including the tennis courts, pool, dog park, fire pit, gym, conference room, and full laundry room. 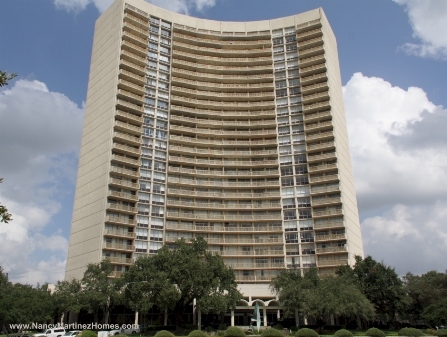 ° THIS SPACIOUS 3 BEDROOM 3 BATH CONDO HAS 2 PARKING SPACES AND A WONDERFUL VIEW OF DOWNTOWN DALLAS. UPDATES INCLUDE PORCELAIN WOOD FLOORS IN THE LIVING ROOM AND KITCHEN, ENLARGED AND REMODELED KITCHEN WITH ENHANCED STORAGE, UPDATED BATHROOMS. OTHER UPDATES INCLUDE HUGE, CERAMIC TILE BALCONIES, BUILT-INS AND MASSIVE CLOSET SPACE IN THE MASTER BEDROOM. ONE PET IS ALLOWED WITH AN ADULT WEIGHT OF UNDER 30 LBS. 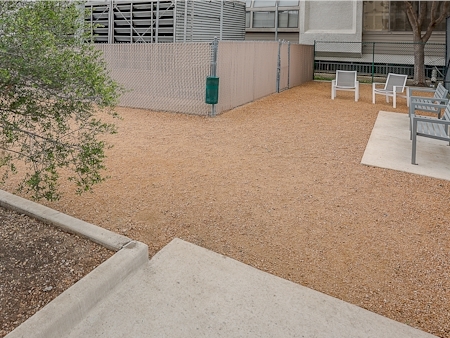 ° Additional Info: HOA dues are $1,253 monthly, 2 covered parking space(s), Dallas ISD. The following units are listed for lease in Preston Tower as of April 20, 2019. ** Note that landlords may have more restrictive limits on pets than indicated above.